The OSU Woodland Stewards Program offers educational workshops, programs and tours throughout the year. The classes are always listed on their website, but here is a special shout out for three programs you don't want to miss. Want to work on your tree identification skills? This day-long class will walk you through key terminology and introduce the use of a dichotomous key when trying to identify trees. We will spend time in the morning working on samples and spend the afternoon outside working on the many tree species that are scattered around the OSU Mansfield campus. Registration includes lunch and handouts for the day. Join us for this years From Forests to Furniture tour. 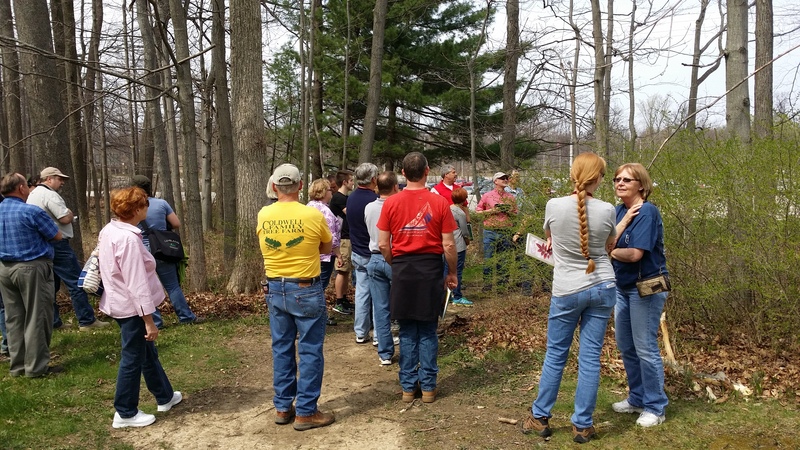 We will start at Secrest Arboretum and explore Edmund Secrests' connection to Ohio forestry and see some research plots that are looking at the future of ash in Ohio. We will spend the rest of the morning touring Secrest with Jason Veil the curator for the arboretum. From Secrest we will load the buses after lunch and head to Bent Wood Solutions to see what happens when steam heat meets wood. From Bent Wood we will move on down the road to Homestead Furniture and see how they customize furniture to meet the needs of today's consumer. Working with the natural environment can be a challenge in many respects. This workshop will improve your skills when it comes to diagnosing what is happening with that sickly looking tree. There is a great process to follow - questions to ask yourself and the landowner - that will lead you to either an answer or other sources to tap into to explore further. Part of the morning will include an update on the non-native insects impacting Ohio's trees and introduce Ohio's new invasive plant law. The workshop will expose the attendee to a wide variety of tree issues that are currently on our radar and talk about what has been going on with our trees this summer season.